In this page you will find our privacy statement referring to the personal data treatment of this web site users. It is an informative report related to the art.13 of the Legislative Decree n° 196 dated June 30th 2003, named "Personal Data Treatment Code". It is addressed to all the users of Casa Lucia S.a.S. 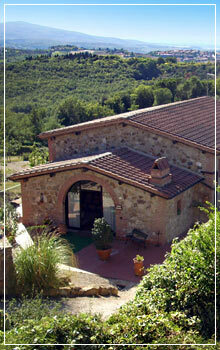 's web services which are available from the home page of our web site at www.casalucia.it. 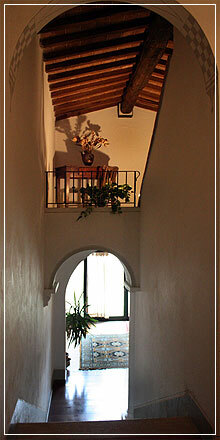 This informative report is only for Casa Lucia S.a.S web-site. It doesn't concern the other web sites the user can reach through possible links. The informative report is also inspired by the Recommendation n° 2/2001 adopted on 17th May 2001 by the European Authority (clustered together into the Group created under the art. 29 of the directiven. 95/46/CE), for the security of personal data in order to find out some minimum requirements for the on line collection of personal data and in particular schedule, conditions, nature of all the information that the users have to give when they log on, regardless of the aim of their connection. Our users' personal data might be treated after the surfing. The person in charge of their treatment is Casa Lucia SaS, Loc. 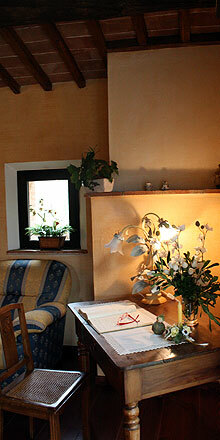 Corsignano 4/5 (Vagliagli) - 53019 Castelnuovo Berardenga (Siena) Italy - Codice Fiscale e P. IVA: 01340490521. According to the informative report, art. 13, paragraph 1 – letter f of the legislative decree n° 193 dated 30th June 2003, "When the treatment manager nominates more than one person in charge of the treatment, at least one of them is designated. The web site or the way to have the update list of the people in charge have be available". In conformity with the regulation it is possible to have the update list of the people in charge by reservation area, by sending an e-mail to info@casalucia.it. The treatments related to this web site services take place in the manager's place and technicians only (or possible in charge of the maintenance) manage them. Personal data deriving from the web service are neither communicated nor transmitted. Personal data our users give us by submitting requests are managed just to meet their need and aren't communicated. Personal data our users give us by submitting brochure and estimates requests are managed just to meet their need and aren't communicated. Computer systems and softwares related to the functioning of this web site acquire personal data which are automatically transmitted in the use of the internet communication protocol (internet domain and IP protocol, kind of browser and operative system of the computer used, date, hour and length of the surfing, visualized pages, potential search engine through which the users have reached the web site). These information are not gathered in order to determine the users but, thanks to their own nature and through data processing, they should identify them. These data are used just to obtain anonymous statistic information concerning the web site surfing and to control the right functioning. They are cancelled soon after the elaboration. The automatically collected information can be used by Casa Lucia SaS to study hypothetical computer crime, for statistic purpose or to improve the site surfing and its contents. Personal data are cancelled from the contacts after seven days unless they have to be used in relation to computer crimes. The explicit, facultative and voluntary sending of the mails to the addresses written on this web site causes the acquisition of the sender's address (and of all the personal data contained in the mail) which is needed to answer the request. Casa Lucia SaS protects personal or business data through which the users fill in the forms of the web site www.casalucia.it. They are used just to answer the user's requests, to give neededinformation or to contact the user in relation to supplied services and to promotions or offers. Not taken into consideration all we have said concerning the surfing data, users can also give the personal data found in the forms used to ask for information to Casa Lucia SaS. Your personal data and your consensus on their treatment is needed to access our services. The lack of this consensus or the following revocation causes the cancellation of the request and the consequent cancellation of the services offered by the web site. Personal data are managed, through computerised instrument, just for the period needed to satisfy the users' requests. Protection measures are taken in order not to lose the data, to avoid wrong manipulation or not authorised accesses. We do inform you that links to other web sites are available in order to supply a complete service. We decline any responsabilities in case of errors, immoral contents, cookies, texts, advertising, banners or files which are not conform to the law in force. The subjects (whom personal data are treated) have the right to known if their data are still present or not, to know about the content and source and to verify the exactness or to ask for update, integration, or change (art. 7, legislative decree n° 196/2003). According to the same article, the user has the right to ask for the deletion, change into anonymous size or the data arrest in case of violation of law but also to oppose against their treatment, in any case, with valid reasons. The request has to be sent by reservation area, by mail info@casalucia.it to the treatment manager.